Our team at PRISM Physical Therapy is comprised of true musculoskeletal specialists! We collaborate with our Neurological and Pain Management team to offer the best possible care possible for our patients. 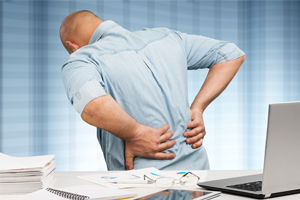 Lower back pain can be debilitating. Causes may include things as minor as muscle strains to as severe as worn out spinal discs (degenerative, bulging or herniated) or major biomechanical dysfunction (spondylolisthesis, stenosis, etc.). Prior to treatment, we recommend a thorough evaluation by a healthcare professional who is specifically trained in assessing the biomechanics of the spine, including (when appropriate) obtaining x-rays (weight-bearing) and an MRI/CT. Your recommended treatment plan could range anywhere from physical therapy to surgery, depending on the findings from diagnostic testing. Sciatica is commonly associated with lower back pain when the sciatic nerve is irritated as it leaves the lower back, going into the leg through the buttock region. Common symptoms are pain, numbness, tingling, etc. into the leg(s). Proper diagnosis should include an examination, x-rays (weight-bearing), an MRI/CT, and a nerve test of the legs. Neck pain can be considerably concerning due to the close relationship between the bones of the neck with the spinal cord, exiting nerves, and blood vessels that supply the brain. If the problem in the neck involves the discs, symptoms can progress to the point of having symptoms radiate into one or both arms. Prior to treatment, we recommend a thorough evaluation by a healthcare professional who is specifically trained in assessing the biomechanics of the spine, including (when appropriate) obtaining x-rays (weight-bearing) and an MRI/CT. Recommendations could also include a nerve test if there are any symptoms in the arms, hands, or fingers. Migraines and headaches can be incapacitating. There are many causes, but one of the most common causes is called “cervicogenic,” meaning (the problem is) originating from the neck. 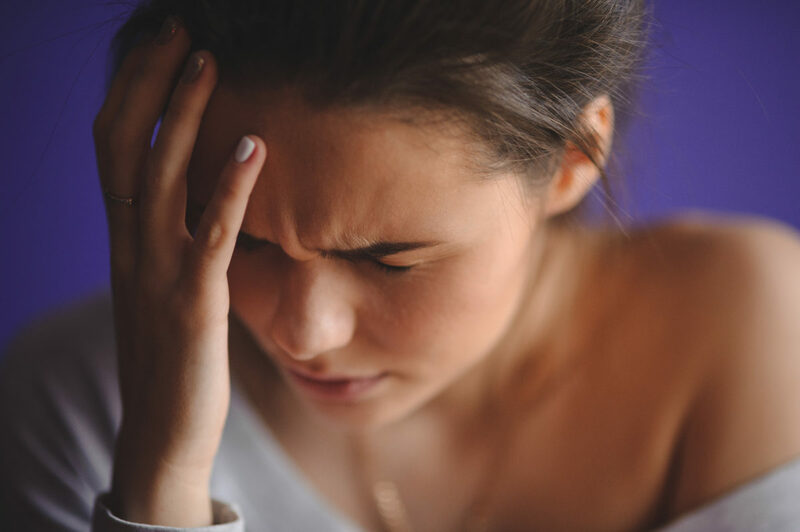 Because of the close relationship between the bones of the neck (vertebrae), the spinal cord, and exiting nerves and blood vessels that supply the brain, biomechanical problems in the neck can be a cause of migraines / headaches. Prior to treatment, we recommend a thorough evaluation by a healthcare professional who is specifically trained in assessing the biomechanics of the spine, including (when appropriate) obtaining x-rays (weight-bearing) and an MRI/CT. Research shows injury to the ligaments in the neck can occur with an impact as low as 8 miles per hour. Some of the most dangerous accidents in regards to long-term health implications are the “minor” accidents, those where there are no broken bones, no cuts, the car has “minor” damage and the driver or passenger has no (or minor) symptoms immediately after the accident. 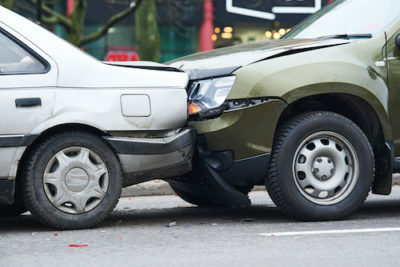 After an auto accident, it is imperative to be evaluated by a professional who is specifically trained in soft-tissue damage assessment, as well as biomechanical assessment, with x-rays (weight-bearing) and an MRI/CT (when appropriate). We work with attorneys and auto insurances carriers to ensure our patients receive the best possible care for their auto injuries. We work closely with workers’ compensation adjusters to ensure our patients receive the best care possible following their work injury. 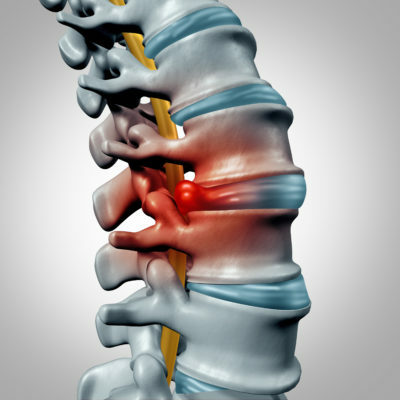 Spinal discs are avascular, meaning they don’t get an independent blood supply. They require proper mobility in the spine to receive the oxygen and nutrients to maintain good health. With an injury, altered biomechanics or “wear and tear” limits the mobility of the spine; over time, the discs become less healthy and may degenerate, and the outer rings weaken, causing a bulging or herniating of the disc into the canal. When this happens, the discs can put pressure on the spinal cord or the nerves exiting the spinal canal. This condition can become very serious, very fast. Prior to treatment, we recommend a thorough evaluation by a healthcare professional who is specifically trained in assessing the biomechanics of the spine, including (when appropriate) obtaining x-rays (weight-bearing) and an MRI/CT. Dizziness, loss of balance and falls can not only be very scary and uncomfortable for you, but these happenings can also lead to serious injuries. Falling has proven to be a deep concern for our elderly population, in particular, but the concern can start much earlier, we’ve found, for people of all ages. Balance and vestibular issues may be caused by problems in the inner ear, eyes, brainstem, brain or peripheral nerves (in the legs). Being thoroughly examined by a health care professional who is trained to examine each of these potential causes of your symptoms is crucial. We also highly recommend a videonystagmography (VNG). A VNG is a computerized neurological examination performed by well-trained VNG Technicians. The findings can help your doctor determine the exact cause of your problem and help determine an appropriate treatment plan. Physical therapy is one of the allied health professions that is considered conservative and effective for the treatment of many common neuromusculoskeletal conditions (involving the nerves, muscles and bones/joints). Physical therapy can improve a patient’s quality of life through examination, diagnosis, prognosis, physical intervention, and patient education. Therapeutic exercise is the cornerstone of physical therapy. Cold laser is an amazing technology that harnesses the healing power of laser light. Utilizing laser light at specific frequencies on the light spectrum has given progressive medical professionals the ability to create unbelievable healing potential for patients suffering from many soft-tissue (ligament, tendon, cartilage, muscle, etc.) conditions such as: carpal tunnel, plantar fasciitis, tendonitis, etc. 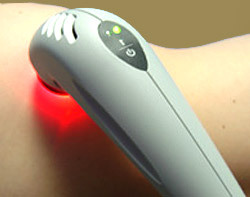 Cold laser is safe and effective, as well as very comfortable for the patient. Dry needling, also known as myofascial trigger point dry needling, is a relatively new and innovative alternative to acupuncture. 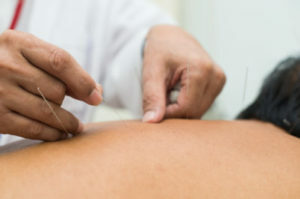 Dry needling utilizes small needles (similar to acupuncture) to treat muscle pain, including pain related to myofascial pain syndrome and fibromyalgia. We are very excited to have so many amazing, cutting-edge treatment options for our patients who suffer from severe and chronic pain, as well as degeneration. The number of patients we have had tremendous success helping with what was once thought of as “helpless” conditions has been outstanding. The neurology division of Prism Physical Therapy has over 30 years of experience evaluating and helping patients with a large variety of neurological conditions. We work closely with our physical therapy, diagnostic, and pain management divisions to ensure our patients are seen by the most well-trained and diverse team possible. Providing diagnostic testing is vital to ensure the best possible treatment outcome for our patients. We have some of the most well-trained doctors and technicians to help us offer several valuable high-tech computerized diagnostic tests in our practice. Because we won’t “guess” with our patient’s health, we do not move forward with any patient care without the necessary diagnostic test information. A nerve test is usually ordered when a patient is suffering from any of the following symptoms (commonly in the arms and/or legs): pain, numbness, tingling, pins and needles, weakness, spasm, etc. The test records small electrical impulses along the path of the nerves and in the muscles. The information from a nerve test is vital for your physician to properly and accurately diagnose many conditions so they can help formulate an effective treatment plan for you. A vestibular test, commonly called a balance test, is usually ordered when a patient has suffered a fall, loss of balance, or dizziness within the past 12 months. This test records eye movements through an infrared camera while the patients sits, stands, etc. The information from a vestibular/balance test is vital for your physician to determine the cause and location of your problem. Once the exact cause and location is determined through testing, a specific treatment plan can be recommended. 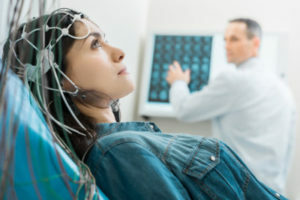 An EEG is commonly called a brain wave test. An EEG measures brain wave activity to help your physician identify the cause of a variety of symptoms such as seizures, migraines, etc. This test is performed by having the technician adhere sticker electrodes to the scalp and record brain activity at rest. This is commonly followed by a home video and EEG monitoring for 3 days. The information is analyzed by our neurologist, and appropriate care is recommended based on the specific findings. ANS is a branch of the nerve test. This test examines a smaller component of the neurological system that affects many of the internal organs, such as the heart. 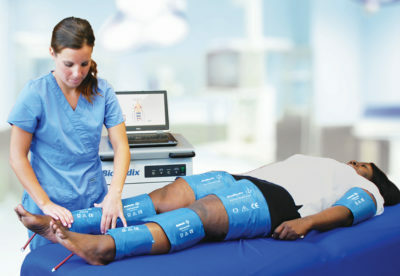 An ABI is an important test to assess the peripheral blood flow of the lower extremities. An ABI is often required when a patient has discoloration or swelling of the lower extremities, poorly healing wounds, and/or symptoms of numbness or tingling of the lower extremities. The test is performed as a series of blood pressure checks along the legs, similar to having the blood pressure checked on the upper arm. The tests looks for obvious changes in the blood pressure in the legs, feet, or toes to help identify a problem and determine appropriate care needed.